We’ve achieved the optimal warmth-to-weight ratio by tailoring the fit of the bag for the Scandinavian market, and strategically distributing high-quality 650 duck down. 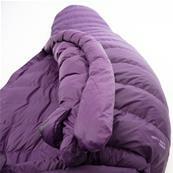 On winter trips when weight and volume are essential, the Rago Winter Lady is the perfect choice. The fit on the Rago Winter Lady is carefully designed to avoid flattening the down against the bag wall and creating cold spots while you sleep. By extending the widest part of the bag from shoulder to hip you’ll be able to move around without cold spots forming. 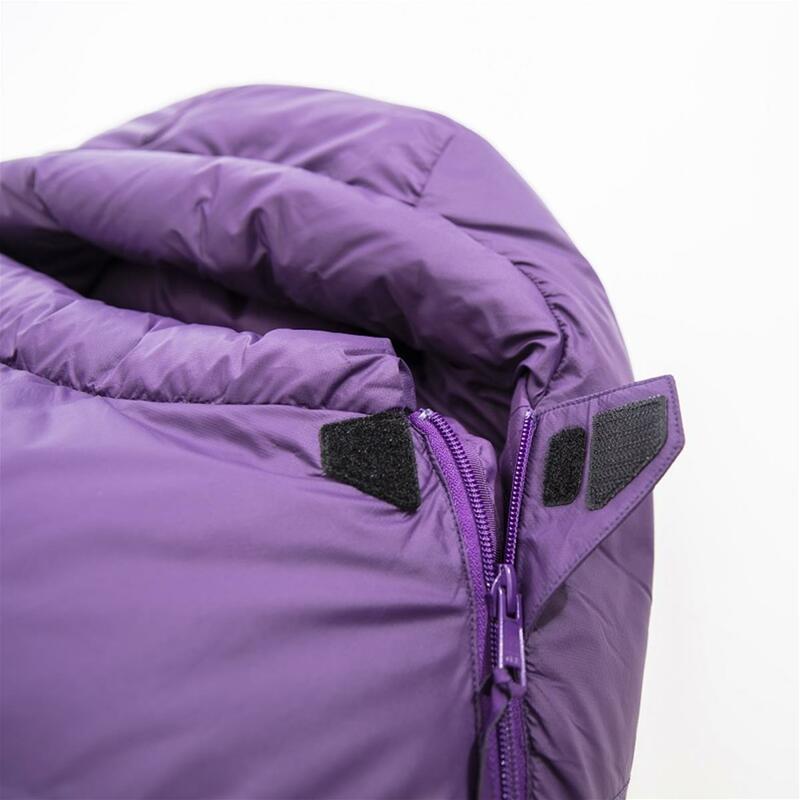 We’ve added extra down to the foot and shoulder regions of the Rago Winter Lady, providing additional insulation in areas where it’s needed, ensuring a good night's sleep. This is a serious four-season bag with a superb fit, designed to keep you warm year-round. The Rago is designed with one main goal: to optimize the heat efficiency of a sleeping bag. 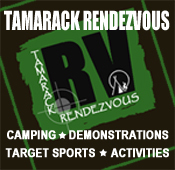 We’ve achieved this by focusing on the science of sleeping bag design, distributing down in a weight and warmth efficient manner, as well as prioritizing comfort and heat-efficient construction. The result is a bag where cold spots are minimized. Cold spots can arise in a sleeping bag when the body presses against the down and flattens it, making the insulation at these spots essentially nil. 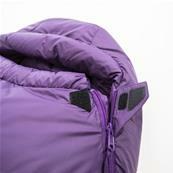 The Rago design solutions also include greater comfort in the hood and the neck collar tensioning. In designing the Rago we’ve focused on filling the baffles with a carefully calculated volume of down. Each baffle has just enough down to support the fabric weight and keep the down from shifting, thus preventing cold spots from forming. It’s vital to calculate exactly how much down per baffle is required, the fill power of the down, the fabric weight supported by the down, and the placement of each baffle. We’ve used the same method for each bag, but adapted the fill volume according to intended use. We’ve also customized the fill for the Lady, long and standard bags. Women and men lose heat in different ways and from different places, so this customization for user and temperature is important. That’s why we’ve added extra down in specific locations on the Lady bags to further optimize insulation. In the Rago series the baffles are curved, preventing the down from moving around and ensuring no cold spots arise. Fit is critical. If a sleeping bag is too roomy you’ll spend unnecessary energy heating the air inside the space. The goal with the Rago was to keep the extra space to a minimum, but without making the bag feel cramped or restrictive, or creating cold spots. A cramped sleeping bag is both uncomfortable and ineffective at keeping you warm. 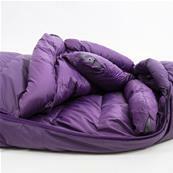 The Rago sleeping bag is shaped with equal roominess around the hips, arms, and shoulders. 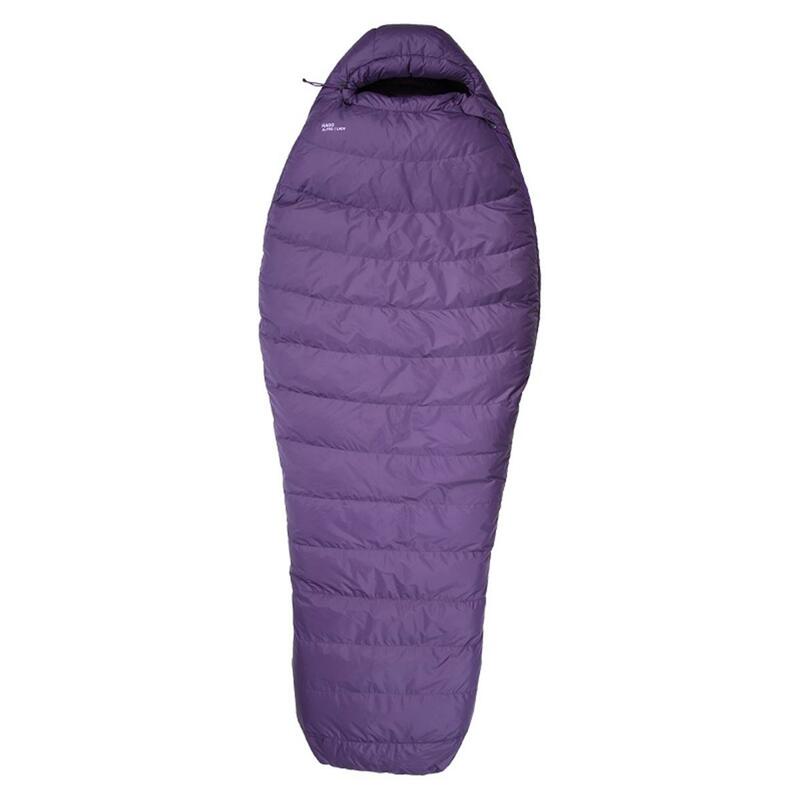 The fit is comfortable and spacious and allows for a natural sleeping position, whilst efficiently maintaining the insulative loft in the sleeping bag to keep you warm. 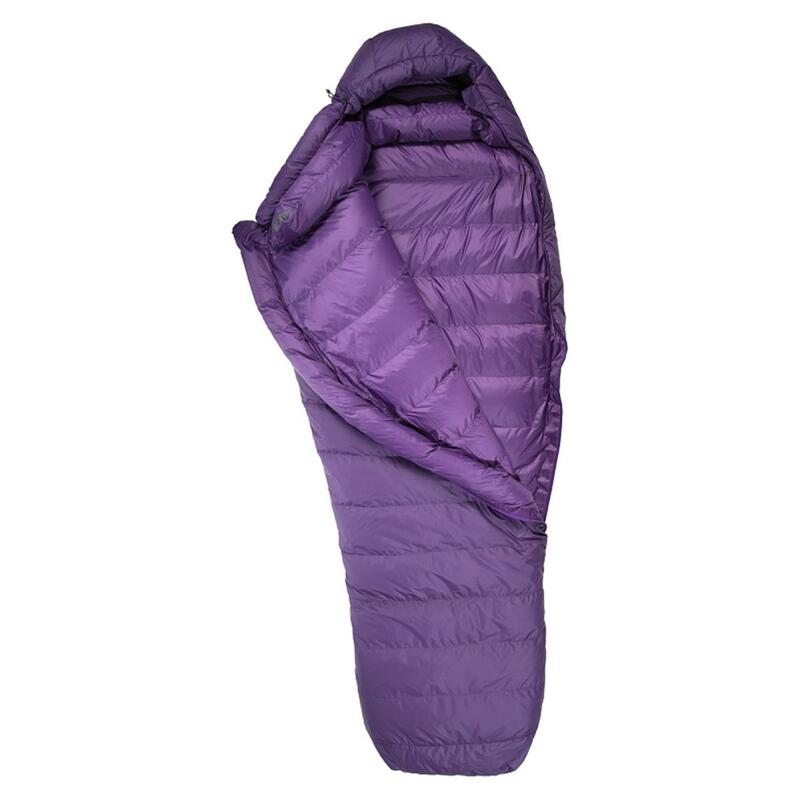 The design of the bag’s foot end is new, being wider and angled outwards, which allows your feet to fall naturally when you sleep without pressing on the sleeping bag. 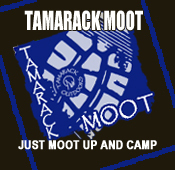 The prevents cold spots forming at your feet. The head and neck are highly exposed areas, so it’s crucial that the bag design prevents cold spots forming here. The Rago’s shaping and the baffles create an optimal hood design. The hood fits naturally and comfortably, maintains full loft in all the baffles, and eliminates any cold spots. Even when the hood is tightened, the down baffles retain their full volume. 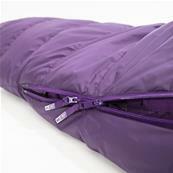 Tightly woven and durable outer fabric for down bags. 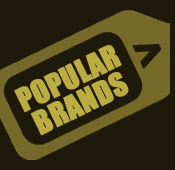 Water repellent and breathable.